What follows is the English translation of the video-interview with Xhuljano Brisku, proposed below here in Albanian. 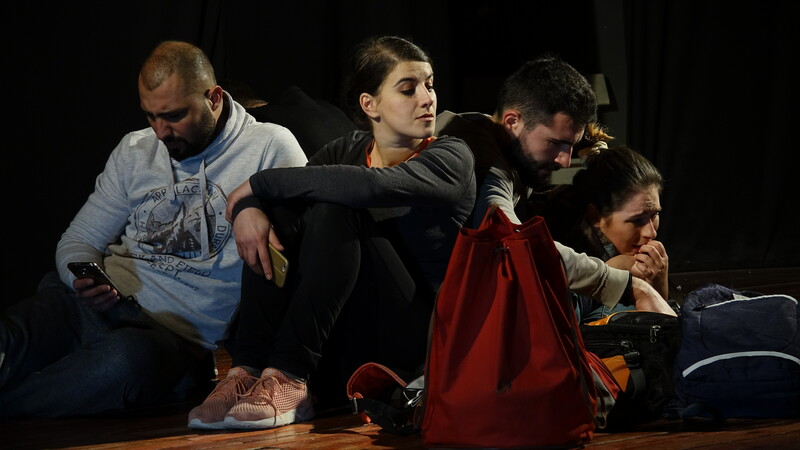 Graduated at the Tirana Art Academy, Xhuljano, as a ‘Sunflower’ assistant production director, shares his impressions and feelings about the public’s reception of the representations that took place in December in the city of Elbasan and in Cërrik, in the district of Elbasan, Albania. When ‘Sunflower’ director Adonis Filipi invited me to collaborate to his project, I felt it would be a challenge. This project was something different from what we were taught at the Art Academy. 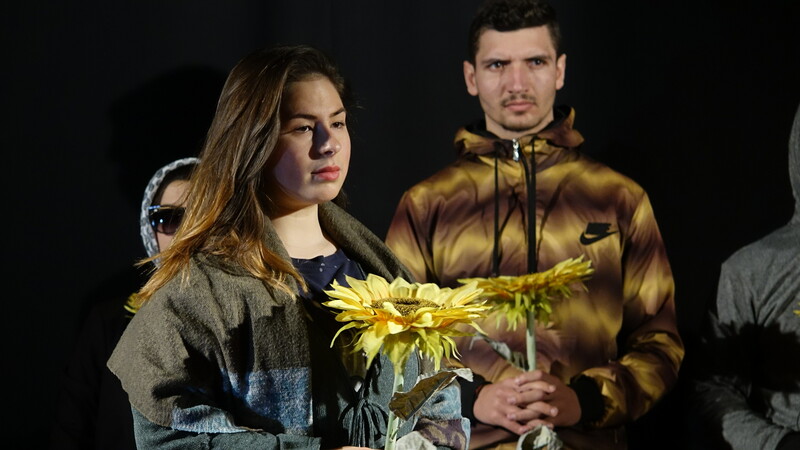 It focused on immigration-related themes and its development has not been easy as the workshop was based on inspiration and improvisation. 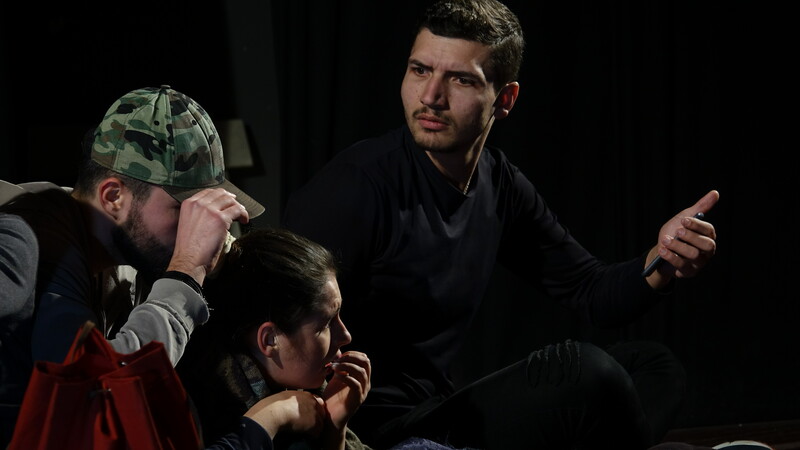 During the two and more months of its preparation, thanks to the work of the actors, the performance began to include a variety of materials such as the narration of events, stories, interviews, and personal experiences, which we tested and experimented together in a continuous creative process. 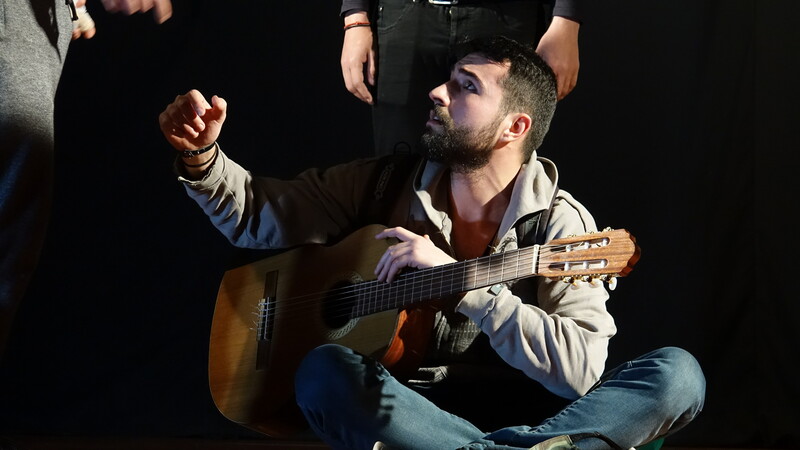 At the beginning of our performances, I noticed that the high school students from Elbasan suburbs made a lot of noise… they did not want to follow us, or perhaps they did not have curiosity [about what we were doing]. Afterwards, however, we felt that they had started paying attention, full of emotion. 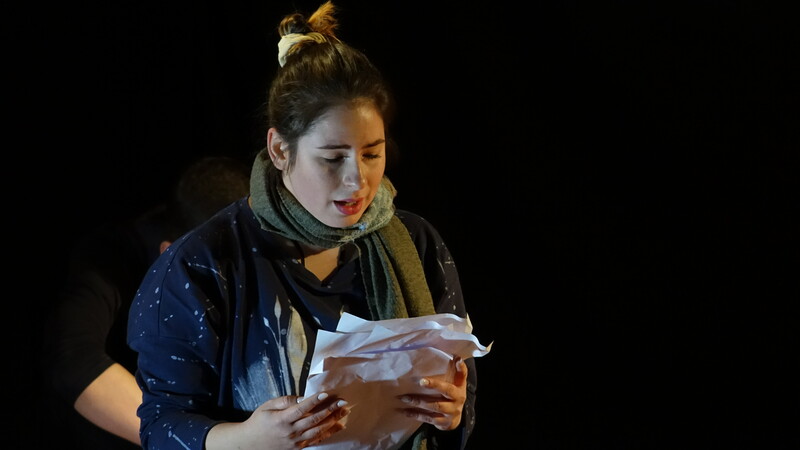 The people in the audience, from the cultural center and the high schools in Elbasan and Cërrik, who came from the suburban area, instead, acted differently. They seemed to us that they were about to scream and say “Stop it! Stop the suffering of migrants and refugees around the world”. We saw their eyes filled with tears. They did like ‘Sunflower’ and this has been important for us. It was a great satisfaction for the whole crew the fact that we managed to bring such a strong message to the audience. Not only to the poeple who have experienced emigration themselves, but also to those who have heard about it just from their relatives. That experience represented for us the very magic of our hard work, as a team. 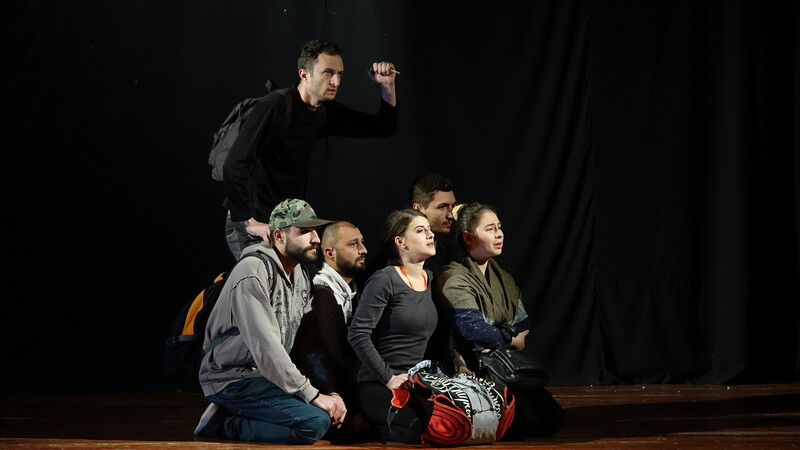 We will keep perform this so interesting and original play in many other places [in the next few months], sharing even more emotions both in open spaces and on stage, in touch with other people, in order to share such a serious, dramatic, and emotional subject, which belongs to Albania, Europe, and the world more broadly. We entitled this performance ‘Sunflower’ as the essence of every man is a sunflower. Such an essence belongs to some, others look for it, for a piece of it, motivated by the hope of finding it in themselves and by the hope that they will stay alive [as human beings, thanks to it]. Thanks to all those so sensitive people who have supported this project, which is virtuous and special in all respect.